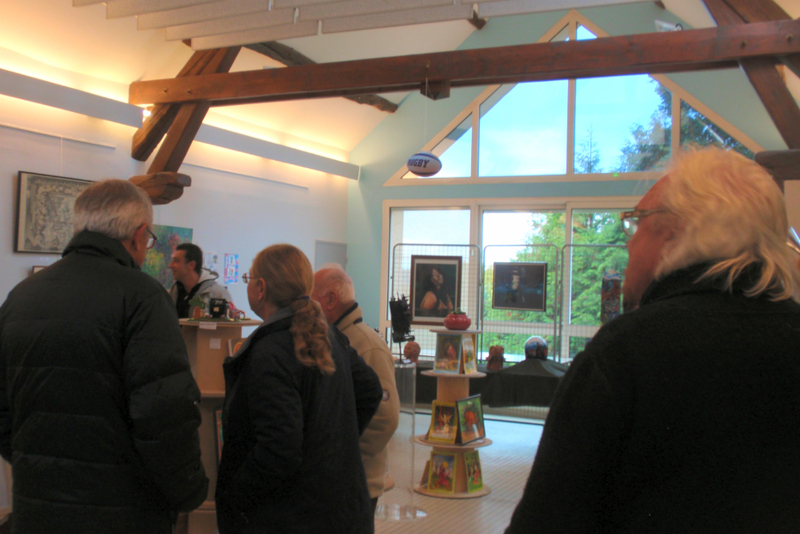 18th art show of Fontenay Saint Père was on October, 2018. 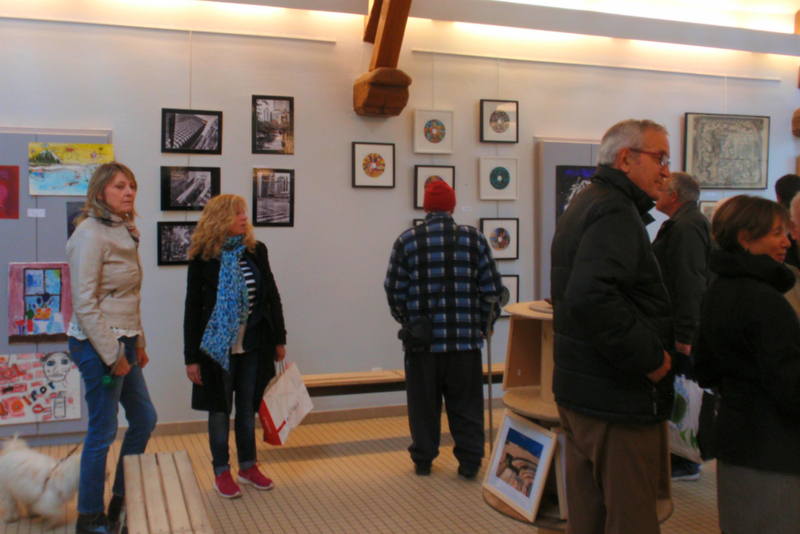 New Edition of the exibition at Fontenay Saint Père. 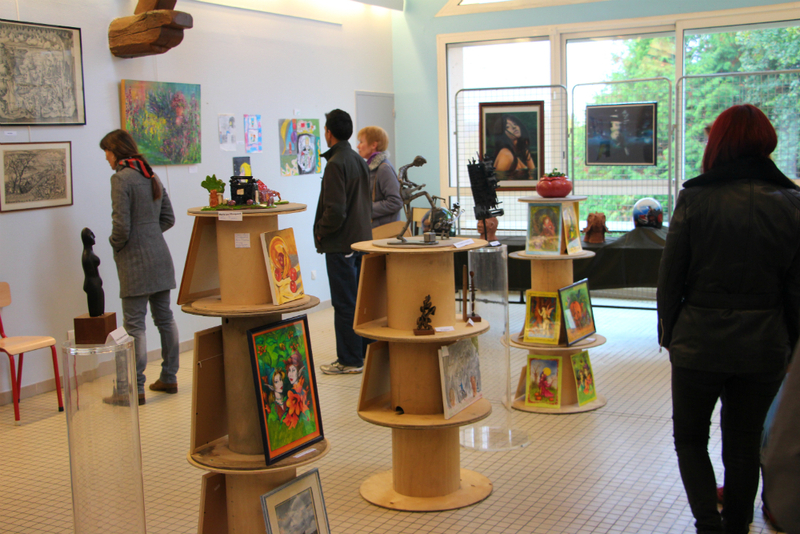 16th art show of Fontenay Saint Père was on October 23, 2016. 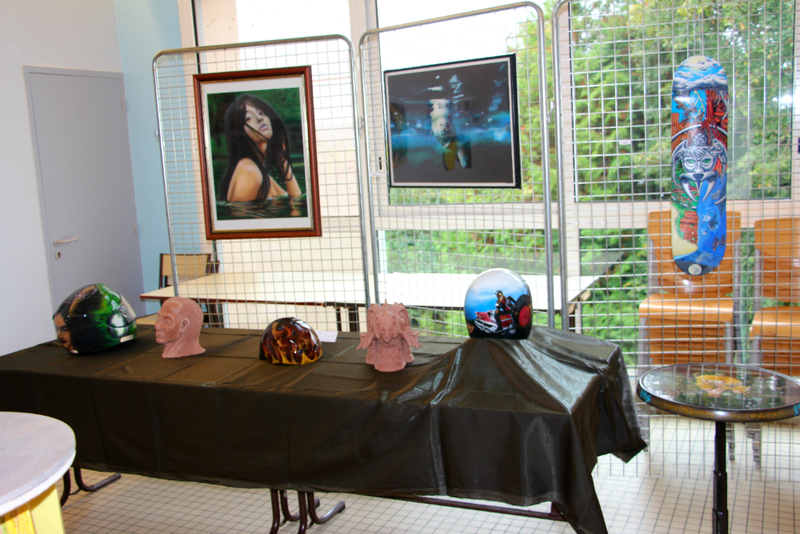 New Edition of the exibition at Fontenay Saint Père. 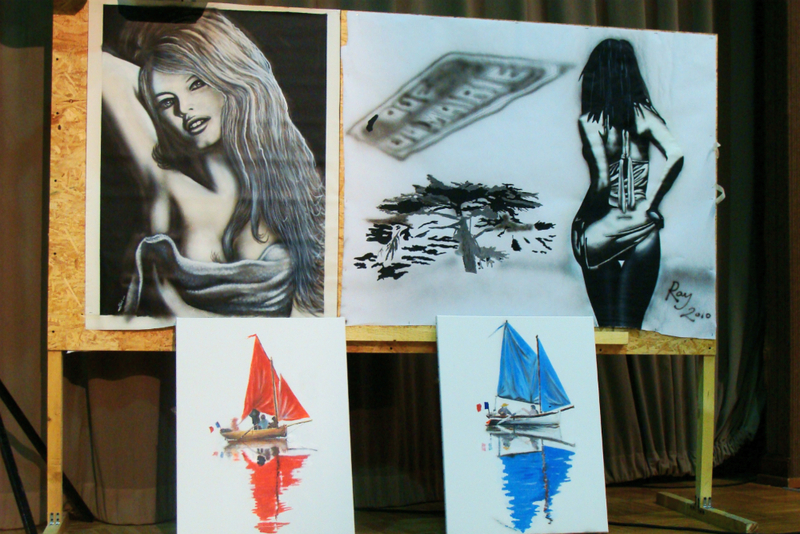 Thank you to Biba who asked me to do exibition at Inneos 01/11/2016 to 02/16/2016. 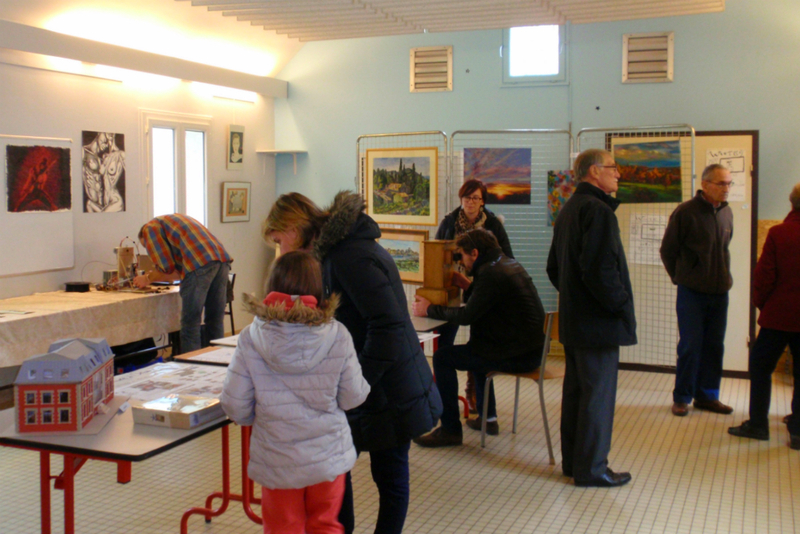 It's business nursery is located on the territory of Mantes en Yvelines. 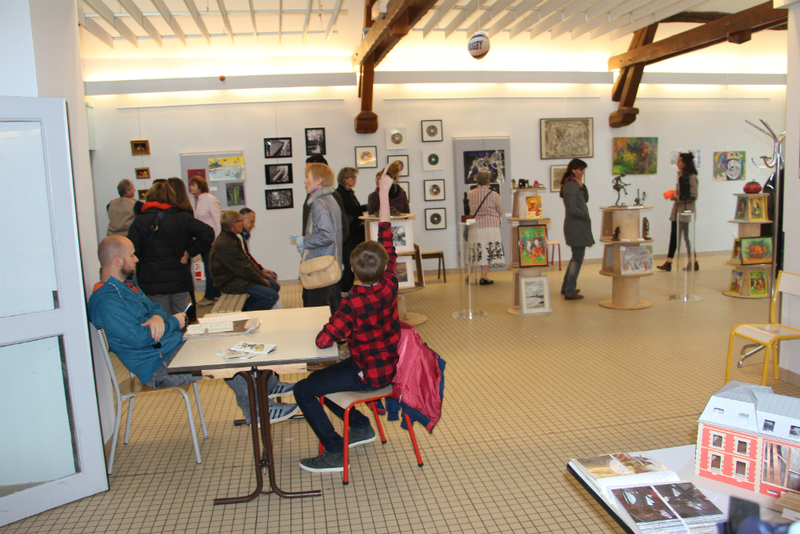 Funded by the "Grand Paris Seine & Oise Urban Community and its partners, its role is to host and facilitate the development of businesses..
15th art show of Fontenay Saint Père was on October 18, 2015. 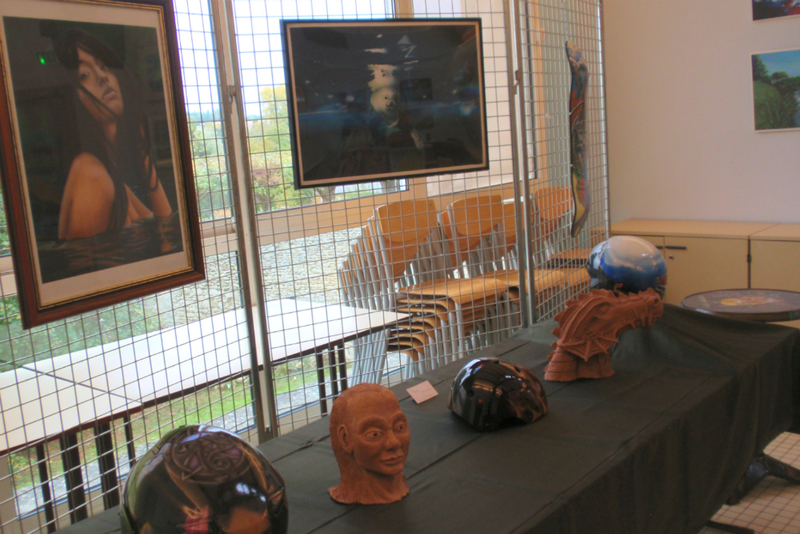 New Edition of the exibition at Fontenay Saint Père. 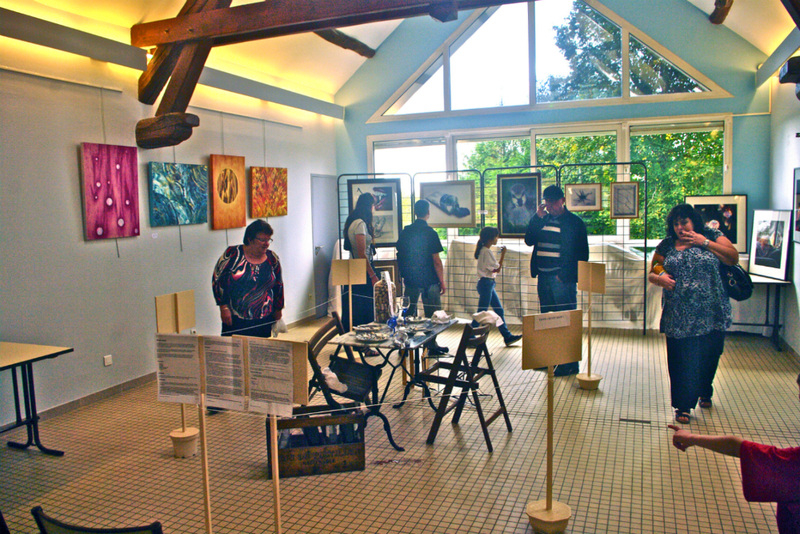 14th art show of Fontenay Saint Père was on October 19, 2014. 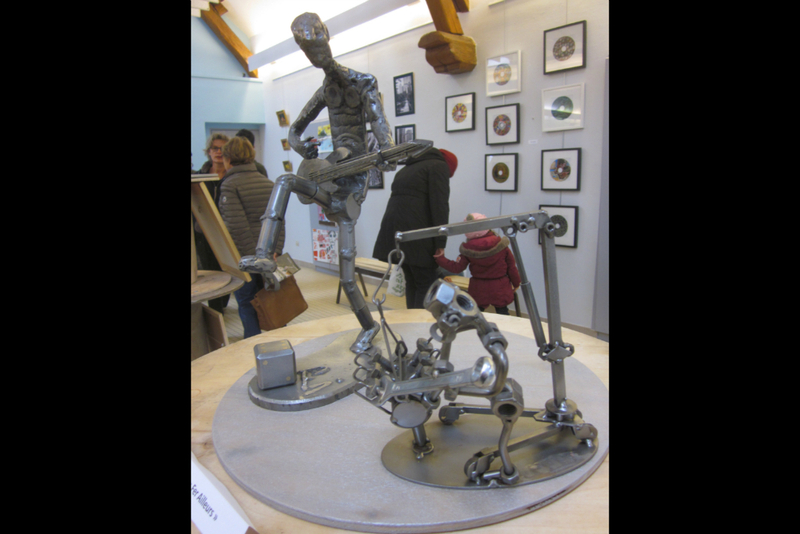 Thank you, Eric who asked me to participate at this art exibition. 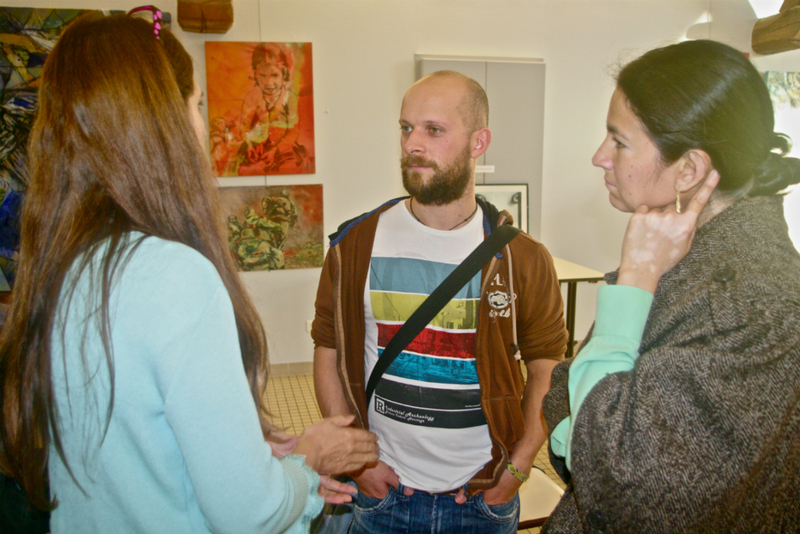 It was a great experience to exchange with the ohters artists and the visitors. 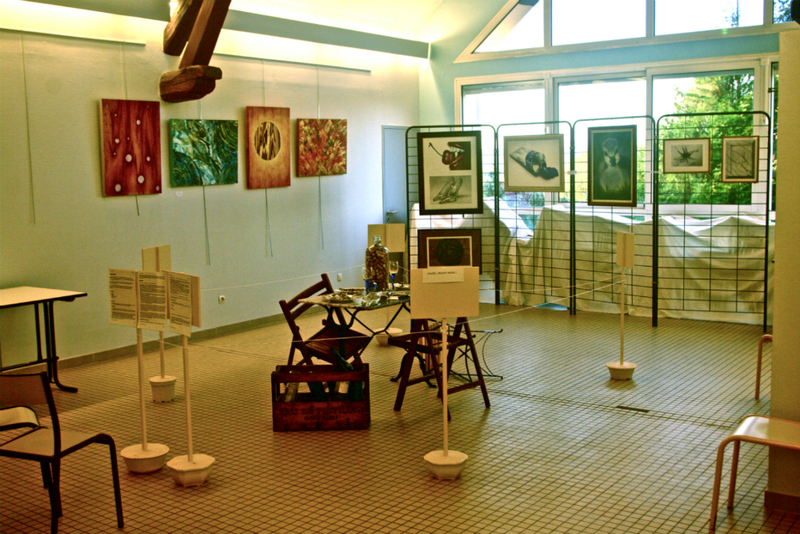 Openning of the new BGE office at Epone, France was on September 15, 2011. The BGE was pioneered 37 years ago of support for business creation, are the initiator of many measures at the service of the creators and the small business and continue every day to reinvent the creation and the development. 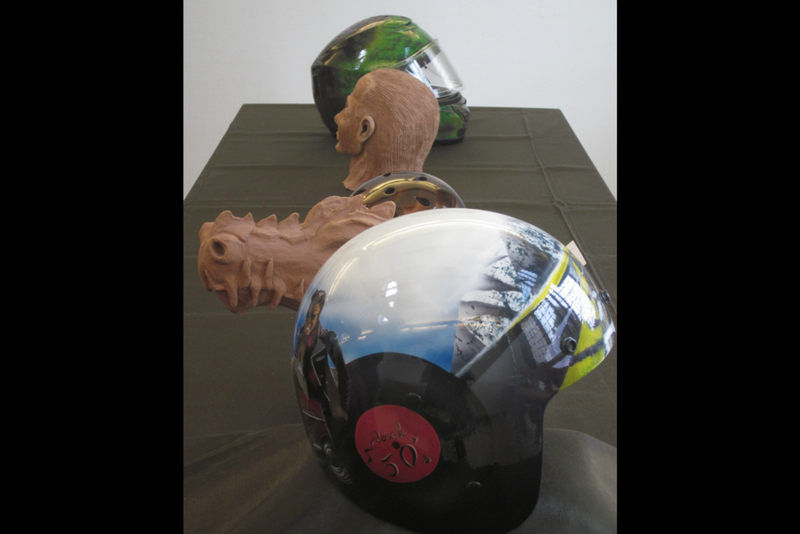 For this day an exibition gathering different contrators and new buisness. 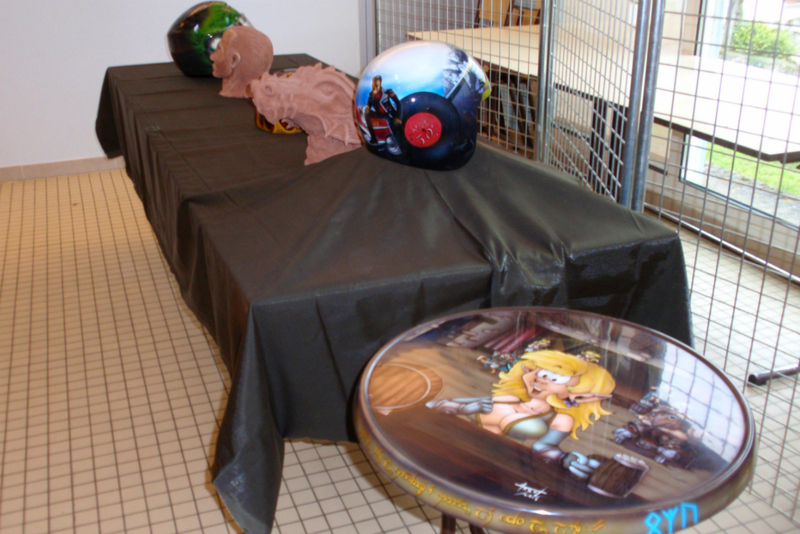 I had the opportunity to show what I did during my airbrush class at Nantes, France. 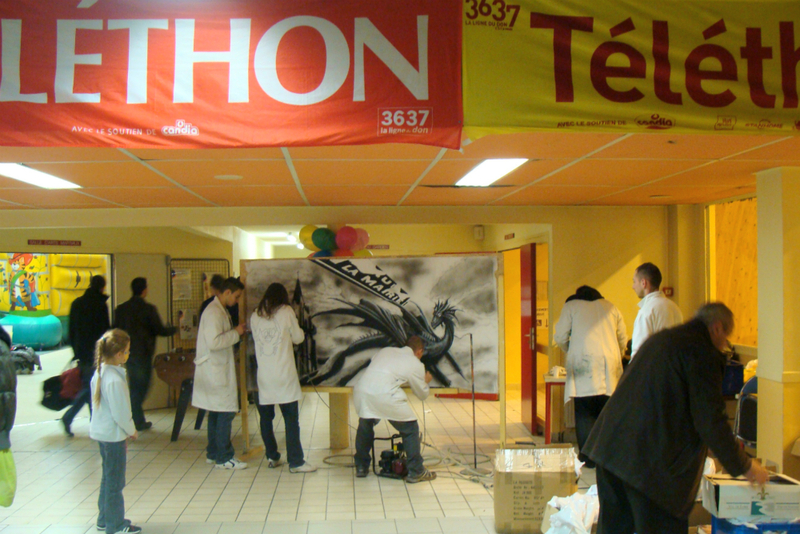 The 24th edition of the Téléthon was on December 3 and 4, 2010. 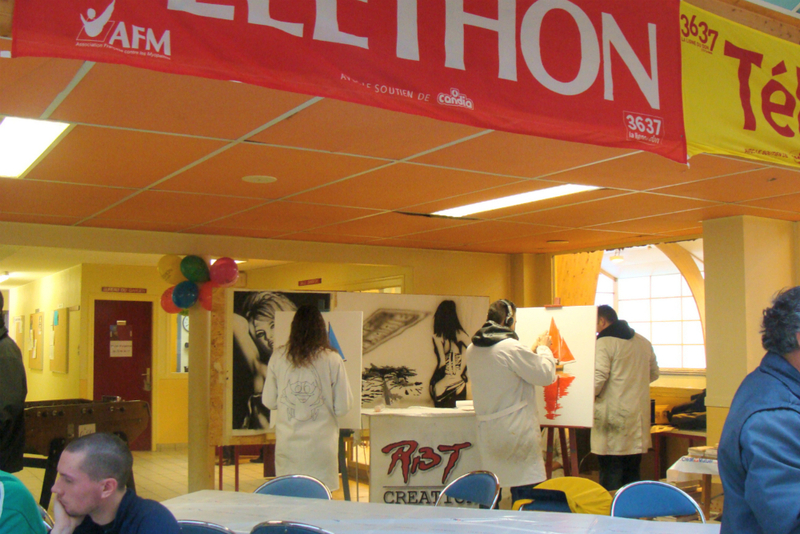 The Telethon is a charity event organized since 1987 by the French Association against Myopathies to raise funds for research projects on neuromuscular genetic diseases mainly, but also on other diseases rare genes. The money is also used to help and accompany the patients mainly suffering from myopathy. 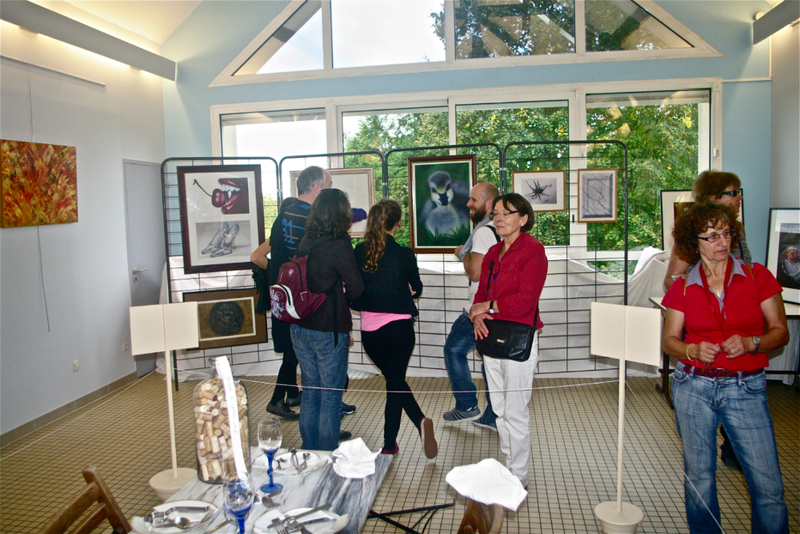 At Sucé sur Erdre, the students of the RBT Creation school particited and made some pictures and performence show. 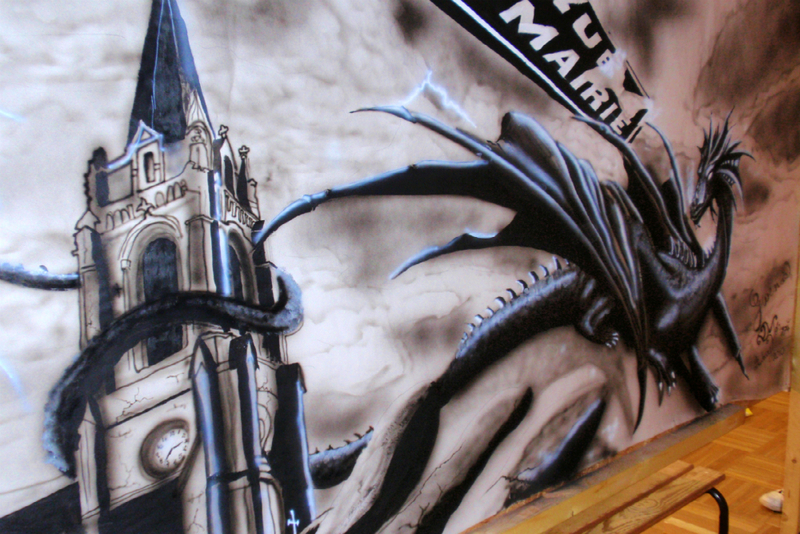 I worked on a big fresco with two others studients.